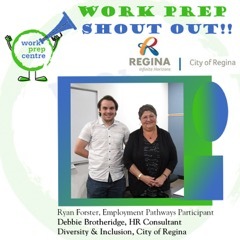 RSR Construction: Underpinning, Basement and Foundation Repair is a family owned and operated company that has been helping Regina residents with basement repairs for more than 25 years. Not only are we committed to preserving the integrity of your home, but we’re equally dedicated to maintaining your personal comfort throughout the repair process. This customer commitment is just one of the many reasons why we have been in business for so long. At RSR Construction, we appreciate that it can be intimidating for people to have contractors working inside their home. Rest assured all our staff have undergone vulnerable sector checks. Most of our crew have gone through the Regina Trade and Skills program, in order to maintain our high standards of customer service. Our staff are WHMIS certified and upgrade their Safety Construction Orientation Training (SCOT) every 5 years. We remain in full compliance with the occupational health and safety legislation as regulated by the Saskatchewan Construction Safety Association (SCSA). 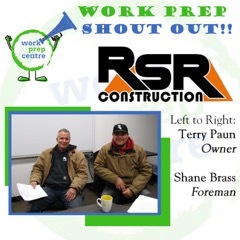 RSR Construction operates primarily in southeast Saskatchewan providing a complete range of basement and foundation repairs and waterproofing services to residents and businesses alike. RSR Construction is certified and industry trained. RSR Construction is a foundation repair and basement waterproofing company serving Regina and the surrounding area. We provide not only quality work but quality expertise through generations of contracting experience. Our service is comprehensive and every aspect of the job is handled by the company owners from start to finish. We are fully licensed and insured, and warranty our workmanship. We pride ourselves on our quality of service and want to leave our customers feeling that they made the right choice. We’re available during the job and after its completion to answer any questions or concerns. We utilize the latest products, processes and techniques accepted and adopted by the industry, ensuring you get the best solution delivered safely, quickly and in the most cost-effective manner possible. We guarantee what we do, bottom line. If you aren’t happy, we aren’t happy, and we will make it right. We never outsource any aspect of the job. We deliver our services, that’s the only way to guarantee the quality of materials and workmanship being applied. 100% customer satisfaction guaranteed! If you have any questions concerning the foundation of your home, don’t hesitate to get in touch with our team. We’re ready to help. 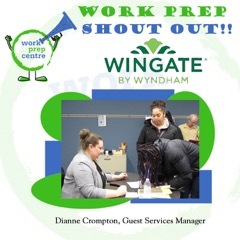 Though the weather was absolutely frigid, 21 job seekers attended four information sessions with potential employers, like RSR Construction, City of Regina, Wingate by Wyndham and Regina Work Prep Centre. 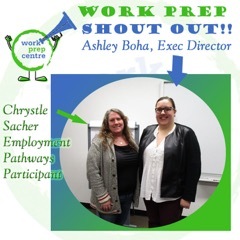 Job Seekers attended from the CRC, Job Launch, Employment Pathways, Youth Employment Readiness Program and past clients. Each job seeker had the opportunity to introduce themselves and do their 30 second commercial! Good job to all the attendees!